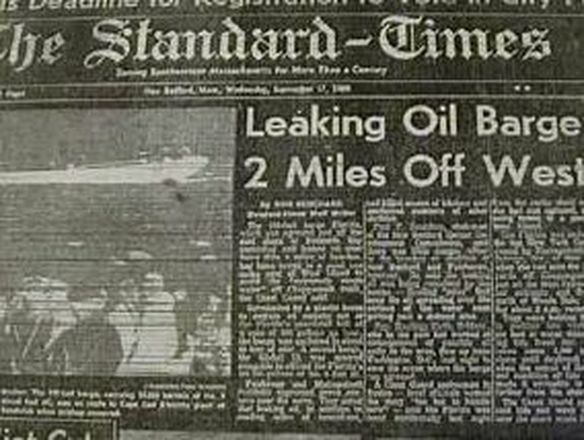 Early in the morning on Sept 16, 1969, the oil barge Florida, which was bound for Boston, ran aground on a rocky shoal near West Falmouth, Massachusetts, and spilled nearly 200,000 gallons of Number 2 fuel oil into Buzzards Bay. By many standards, it was a fairly small spill, but strong winds blew the oil into the Wild Harbor River, spreading it across four miles of coastline, and killing many of the large marine animals in the area. Their finds were a milestone for our understanding of the impacts of oil on coastal ecosystems. For the first time, a group of highly qualified scientists were documenting the long-term impact of an oil spill and their findings would help to shape the national standards for oil spill clean up efforts. When a new team of researchers from Woods Hole revisited the impacted areas four decades later, they also made some remarkable discoveries. The team, led by Chris Reddy, published their findings in the April 2007 edition of Marine Pollution Bulletin. To everyone’s amazement, they found that the oil continued to harm local wildlife decades after the spill appeared to have vanished. 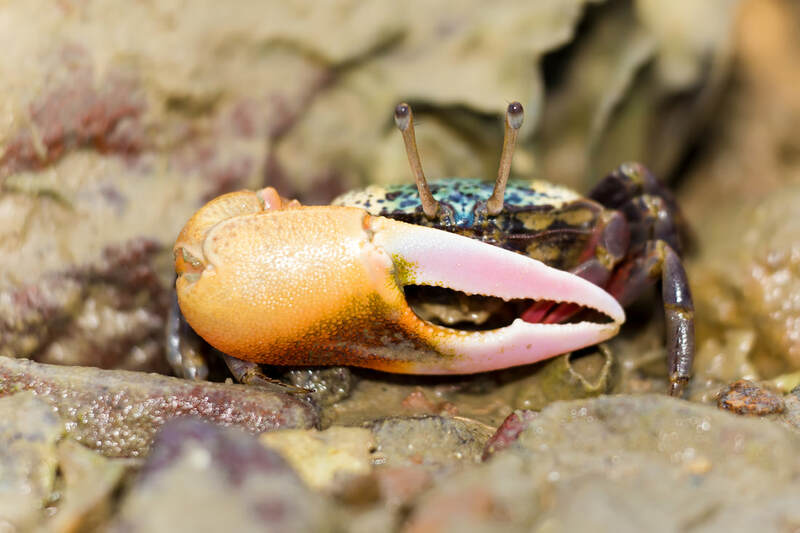 One key finding involved fiddler crabs, which they found did not burrow as deeply in areas still impacted by oil as they did in oil-free areas. Instead, the crabs stopped digging when they reached the oil, turned sideways, and returned to the surface. The crabs also appeared to act intoxicated, or drunk, after ingesting oil, making it easier for predators to catch them, and passing along the toxins in oil up the local food chain. These findings would change how oil spills are monitored and cleaned up around the country. 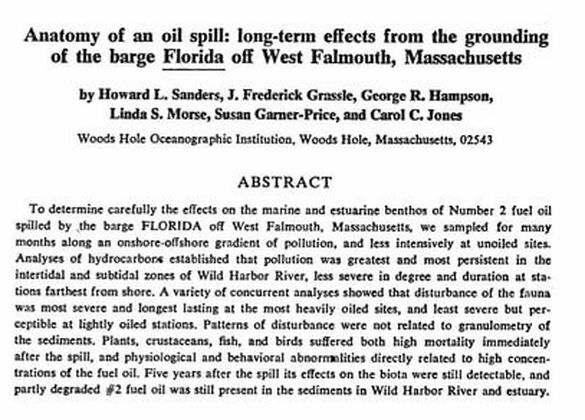 Read more about Chris Reddy's new research on the long term impact of oil spill on the Wild Harbor Marsh on Cape Cod.